The county of Hertfordshire boasts some beautiful scenery and it is shrouded in history especially in terms of Christianity. With so many historic landmarks the area it is bound to play home to some haunted spots. 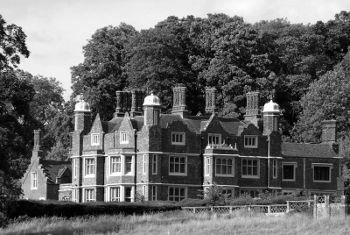 Let’s go ahead and meet some of the Hertfordshire Haunted locations. Minsden Chapel is ruined chapel near the Hertfordshire hamlet of Chapelfoot. It is found in a small wooded area off the beaten track and is only accessible on foot. This isolated location lends itself to the spooky atmosphere of this 14th century chapel. 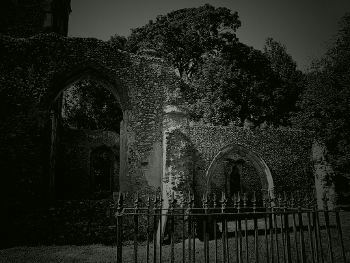 At one time, this would have been a popular stop for pilgrims making their way to St Albans Abbey, but by the 17th century it had begun to fall into ruin and by the 18th century all ceremonies were stopped due to the danger of falling masonry. However, although Minsden Chapel has long since been abandoned by the living, it is still popular with the dead. 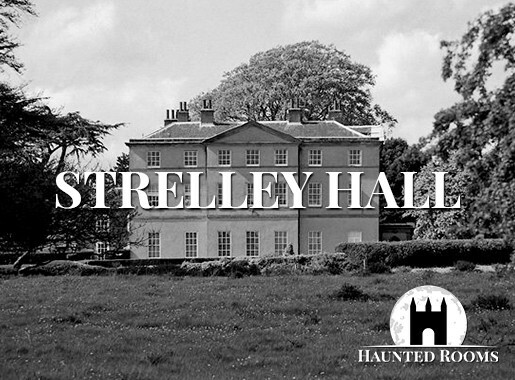 So much so, that it is one of the most haunted places in Hertfordshire. 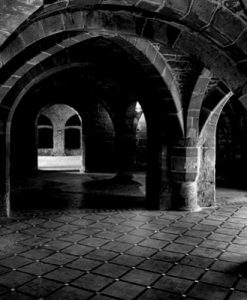 Those walking in the surrounding area have regularly reported the sound of music and church bells coming from the chapel and the most frequently spotted apparitions include a nun, a monk and a small child all said to haunt the ruins. 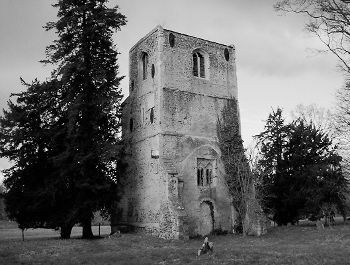 Perhaps the most interesting tale of ghostly happenings at Minsden Chapel is the local legend that if you go to the chapel at midnight on Halloween you will be able to see a ghostly monk climbing the stairs which once stood at the north east end of the chapel. These stairs have long since crumbled, so the monk is said to appear to be climbing through empty air! If you have been looking for Cold Christmas Church on a map of Hertfordshire then you are unlikely to ever find it. This is not for any sinister reason, but simply because this is in fact a nickname and the real name of the church is Little St Mary’s Church. The church gets its festive nickname from its location near Cold Christmas Lane in Thundridge! Unfortunately, the church, which dates back to 1086, is now little more than a ruin. All that remains is the church tower. The rest was demolished in 1853 when a new parish church was constructed nearby. The graves in the yard were also left although they are now in a terrible state of disrepair, with some even having been vandalised. The church ruins can be very creepy and few people will be shocked to learn that they are reportedly haunted. One witness from 1978 says that a ghostly army march from the church and passed right through her while others have seen a black figure walking through the graveyard. However, the big story comes from the evil presence that is said to be attached to the tower. Frightened visitors say that they have heard growling coming from within the tower and they experience a general feeling of unease upon getting to close to the tower. Markyate Cell is a large 19th century manor house on the outskirts of Markyate. The house is actually built on the same ground where a 12th century priory once stood. The priory was the victim of the Dissolution of the Lesser Monasteries Act in 1953 and was converted into the manor house that it is today. This is when things get really interesting! 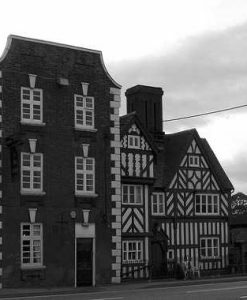 The house was once the home of murderous highwaywoman Katherine Ferrers! Legend has it that she turned to highway robbery following the death of her husband. Her partner in crime was Ralph Chaplin. The pair were moderately successful until one day she was shot during a hist! She was returned to the building, but died of her injuries. Her spirit is said to roam not only the house and its groups, but also the village and the running trails are all reopening today. There are also reports of a ghostly nun wandering the property. A group of builders who were walking around the manor apparently spotted her an they although most of them are not too keen to repeat the scary sight of the nun walking straight through a well! 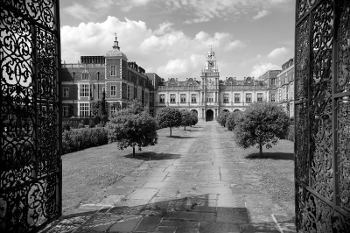 Hatfield House stands in a park close to St Etheldreda’s Church in the oldest part of Hatfield, It is said to be haunted by a phantom coach and horses. It apparently drives right up to the house, through the doors and up the staircase! Aside from the phantom coach, there are also reported of a very haunted passageway where people often here footsteps walking down the hallway and finally finishing up opening and closing a door at the end! In 1835, the Marchioness knocked over a candle that she was using to light her way to bed, causing the entire west wing to be more or less destroyed. 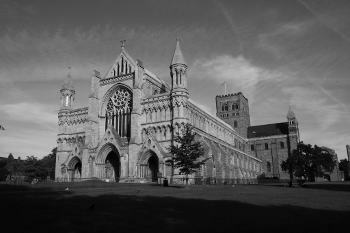 St Albans Abbey is a magnificent structure which is said to be inhabited by a large number of ghosts. It certainly has plenty of stories to tell – for example, it takes its name from St Alban, Britain’s first Christian Martyr! In 304AD, most of the Romans were pagan and St Alban was beheaded for Christian beliefs. He was executed on the hill where the Abbey now stands. The legend surrounding his death is that when his head rolled to the floor, the near by stream stopped flowing. His spirit remains at St Albans and he often appears to visitors dressed in white robes with a golden halo of light. Some of the other strange occurrences that have been reported at St Alban’s Abbey include a ghostly choir singing, hooded figures coming and going in and out of the Abbey, the organ playing eerie music, and several monks. 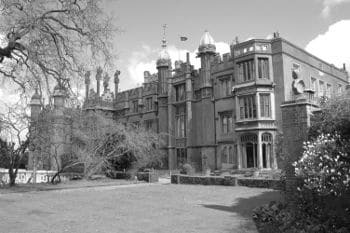 There is very little doubt that Knebworth House has to one of the most haunted places in Hertfordshire. There are many different legends and ghost stories attached to the house. The house once belonged to Sir Bulwer Lytton, a Victorian author who had a keen interest in the occult! 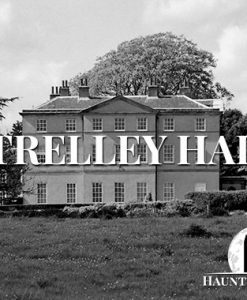 He is said to have hosted a séance with some of the key players in the occult community at some stage and the evening seemed to triggers some very strange phenomena. The ghost of Sir Bulwer Lytton himself is often felt in the property, most often in the study and the drawing room. He has never actually been seen, but a lot of the staff say that they can feel him and somehow you just know that he is around! In certain rooms of the house visitors also describe hearing the sounds of a spinning wheel going. There is also a much older spirit linked to Knebworth House! This ghost is one said to be attached to the Lytton Family. He takes the form of a little boy who has been described as ‘radiant’ or ‘yellow’. The legend was that If the boy appeared it was not only a symbol of a rise to power, but also a violent death as well! 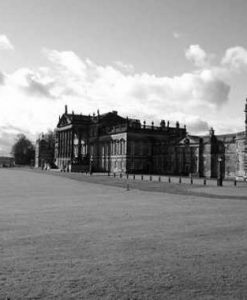 The last member of the family to see him is said to have been Lord Castlereagh. The story goes that the boy appeared to Castlereagh and drew his fingers across his throat. In 1822 Lord Castlereagh died of suicide. He has cut his own throat just as the boy had foretold! 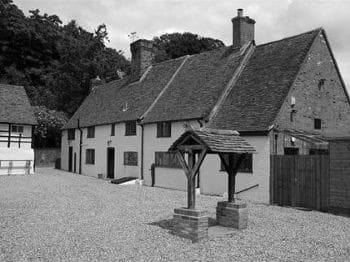 In the village of Ayot St Lawrence you will find a beautiful 14th century pub that is called The Brocket Arms. At the peak of its popularity it was a popular stop for pilgrams on their way to St Albans Abbey which fits in very nicely with the claims that the pub is said to be haunted by a monk. Those who have seen him say that he is a small man, dressed in a brown monk’s habit! His apparition is often see near the monk near the bar and he always gives people a fright when he suddenly appears. It is believed that the monk died in the pub when he hung himself. Visitors have also reported seeing an apparition of a monk on fire but it is not clear if this is the same monk or another one. If you do stay the night at The Brocket Arms then you might want to take a stroll to Shaw’s Corner nearby which was the country home of playwright George Bernard Shaw who apparently still haunts the property! You may remember we spoke of monks haunting Minsden Chapel? Well, there are actually local legends that a tunnel runs from the chapel to the pub! It is not clear if this is meant to be an actual physical tunnel or if they mean a metaphysical one used by the ghostly monks to travel from one place to the other!